The Bosch GSL 2 surface laser is the world’s first surface laser. It allows for quick scanning of the entire floor, increased accuracy, and control via remote control. 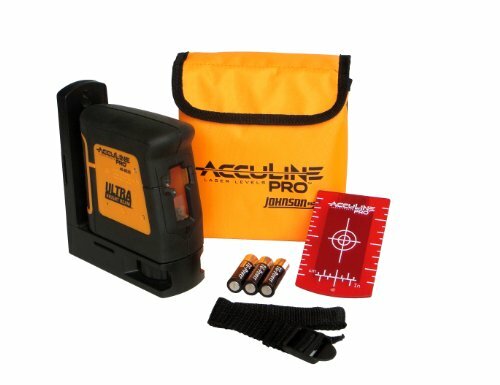 This laser is ideal for users who are seeking a more efficient, convenient, and accurate tool for daily use as well as those looking for more than just a spot check. Diverse enough for current laser users, this tool is also ideal for flooring estimators, screed workers, tilers, and many more. It is not intended for checking the slope of a floor or wall flatness. This measuring tool has a standard 1-year warranty if it is not registered. If you register the tool within 8 months of purchase, the warranty is extended to 2 years. 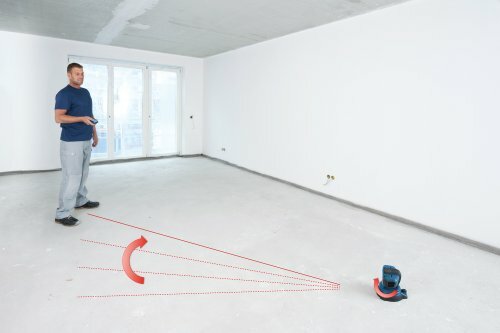 This revolutionary new laser by Bosch introduces not only a new tool to the world, but also a tool that is simple and straight-forward for every user. To use the GSL 2 laser, simply place it at your desired benchmark on the floor that you would like the rest of the floor to match. Then, turn on the laser via the sliding switch located on the side of the tool. After that, adjust the height of the laser until the two lines come together as one on the floor. The height adjustment range is 1-3/16-inches. 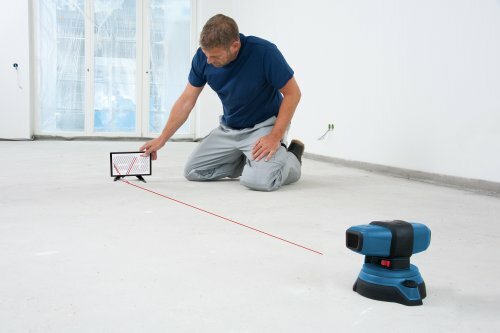 Then, initiate the scan of the floor surface with your RC 2 remote control (make sure to stand facing the laser when operating with the RC 2 remote). Observe the lines on the floor and watch as the lines separate along the floor surface or at points. At those separated areas, bumps, or recesses, read the height of deviation with a target plane and mark for re-work. 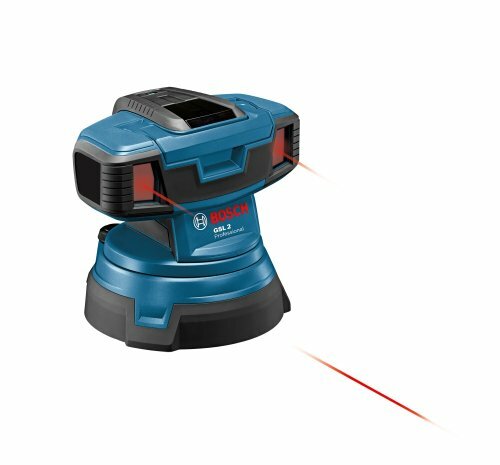 The Bosch GSL 2 surface laser incorporates several special features to increase both the performance and user ease of the tool. On the exterior of the tool are the carrying handle, on/off switch, and height adjustor. 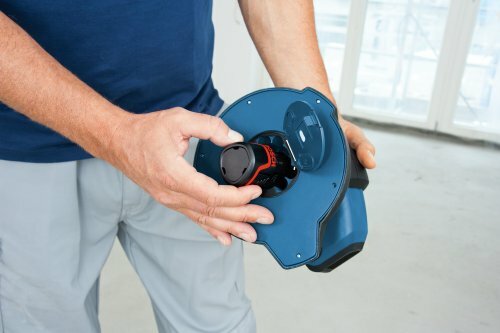 In addition, there is the LED battery indicator light conveniently located on top of the laser so you never have to move the tool to see the status of your battery light. On the interior there is a signal receiving area, motorized rotary base, and laser exit. This laser is also self-leveling to warrant accurate delivery of results. The self-leveling range is plus-or-minus 4-degrees. 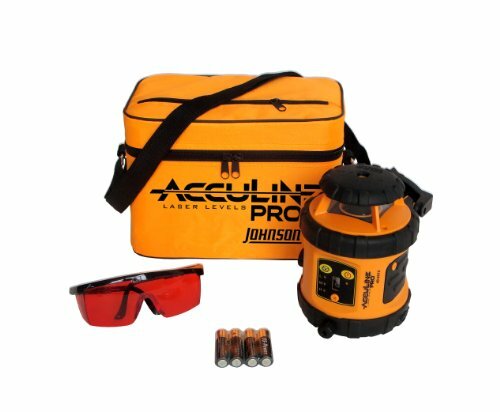 This GSL 2 surface laser has been ingress protection 54 (IP 54) jobsite tested. It can be used with the four AA 1. 5-volt alkaline batteries that are included. In addition, it can be used with a Bosch 10. 8-volt lithium-ion battery pack. The typical operating time is 15 hours, and it can be used in temperatures ranging from 14-degrees to 122-degrees Fahrenheit (negative 10-degrees to 50-degrees Celsius). 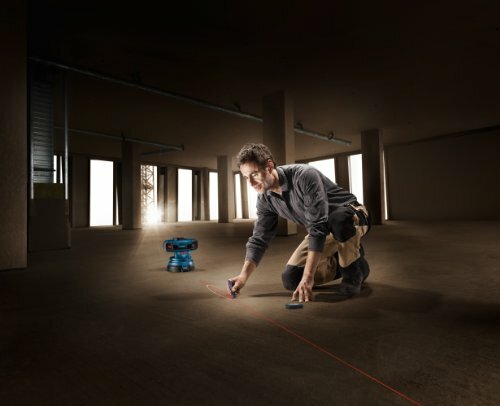 This Bosch laser class is 3R with a self-leveling time and range of around 5 seconds, plus-or-minus 4-degrees. When the laser becomes out of level, the warning pattern is the line flashing on for 1/2-second and then off for 1/2-second to easily alert the user. The measured accuracy is approximately within 1/8-inch at a distance of 30-feet. The regular line visibility is 30-feet and 65-feet with a target plane. 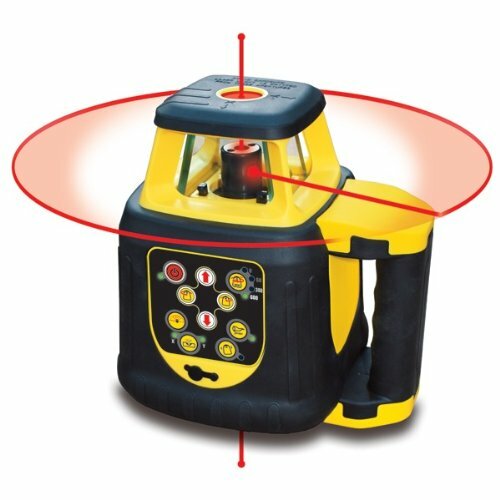 The working range is up to 65-feet when being operated with the remote control. In addition, the receiving area size horizontal is 120-degrees at 16-feet and 90-degrees at 33-feet. The vertical opening is always 90-degrees. The rotation speed can vary at tje slow speed of 0. 3 RPM to the quick speed of 1 RPM. The GSL 2 surface laser comes with the RC 2 remote control. 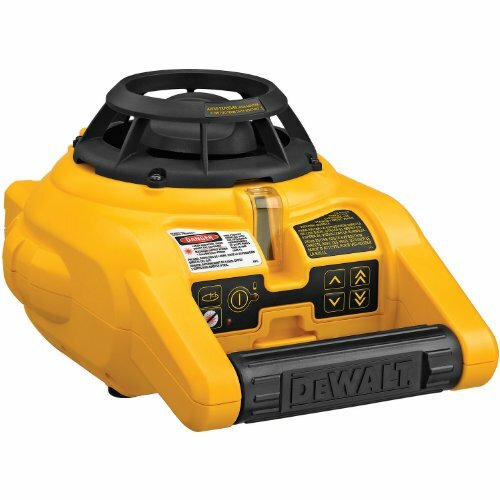 This remote control feature allows the user to not be restricted to the spot of the tool with a working range up to 65-feet. It can be used with 3 AAA 1. 5-volt alkaline batteries and operate in a temperature of 14-degrees to 122-degrees Fahrenheit (negative 10-degrees to 50-degrees Celsius). It has an ingress protection of 5X that is dust protected. The remote control has a rotation-per-minute speed ranging from 1- to 3-minutes. 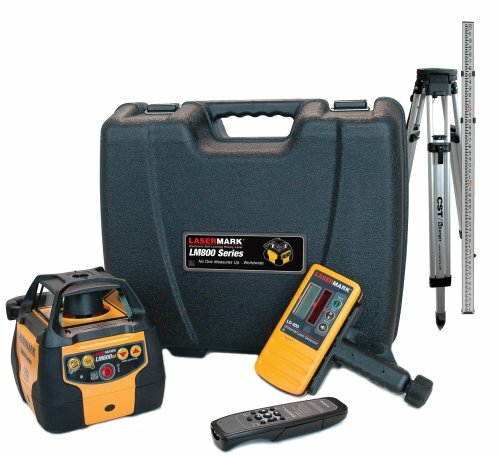 This kit includes one GSL 2 surface laser, one RC 2 remote control, 3 AAA 1. 5-volt alkaline batteries, 4 AA 1. 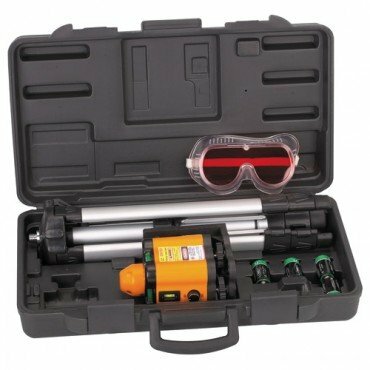 5-volt alkaline batteries, target plane, laser goggles, user manual, plastic inlays for L-Boxx, and a L-Boxx 3 carrying case.